These slings encourage superior toning, trimming and conditioning of the entire abdominal area without lower back strain. In fact, they can actually help a bad back by stretching the muscles and decompressing the spine. Features include solid steel Fire and Rescue Locking Carabiners. 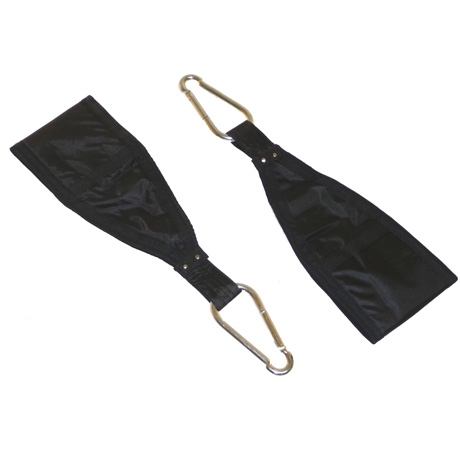 Arm slings are 7 1/2" wide with durable thick pads.